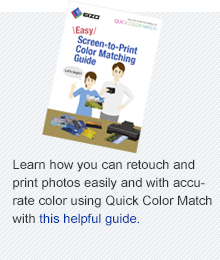 Quick Color Match is easy screen-to-print color matching software that was developed under a first-ever collaboration between EIZO and Adobe, Canon, and Epson. 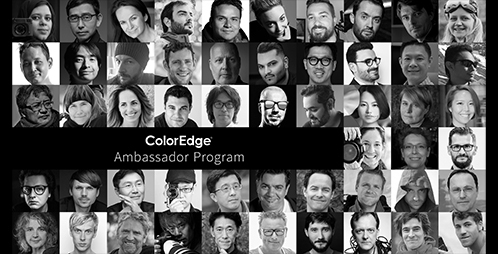 By combining the know-how and expertise of these leaders in the creative industry, EIZO has developed an ideal software solution that greatly simplifies the color matching and printing workflow for photo enthusiasts and professional photographers alike. The wide color gamut of ColorEdge monitors reproduces 99% of the Adobe® RGB color space so photos of vibrant blue skies and lush green forests are reproduced faithfully in a way that monitors limited to an sRGB color space cannot display. This ensures that images captured with either compact digital or SLR cameras are displayed correctly. Not applicable to the CS230. Working long hours editing photos on a monitor can cause eyestrain. ColorEdge monitors are equipped with dimming technology that minimizes flicker and helps prevent eye fatigue for a more comfortable working environment. They also uses a non-glare IPS panel for high visibility.